Sunday’s Nairobi-bound plane was the same type as the Indonesian Lion Air jet that crashed in October, killing 189 passengers and crew, and Mr Gebremariam said there were other similarities. He accepted that Boeing and the FAA must have their reasons for arguing that the 737 Max 8 is safe. But “extreme precaution” was needed and “all of us who have grounded the plane have very good justification,” Mr Gebremariam said. 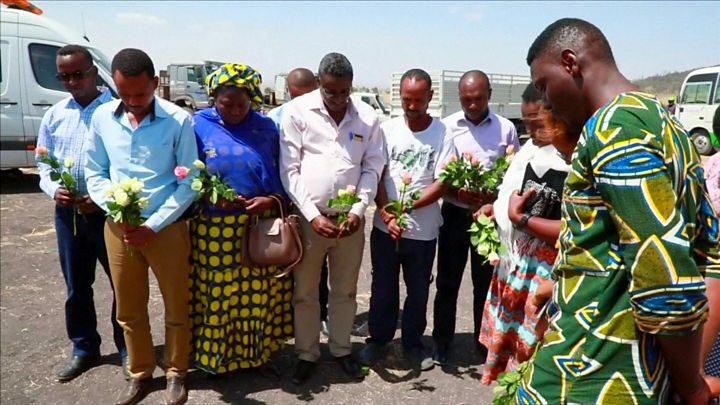 Those authorities must have good reason to ground the aircraft, Mr Gebremariam said, adding that safety is paramount and “grounding is the right thing to do”. Have you been personally affected by this story? Please get in touch with us by emailing [email protected].